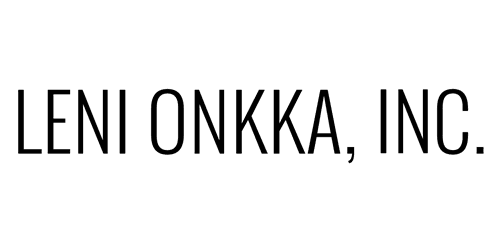 Client Testimonials - Leni Onkka, LLC. I was triggered by one of our employees. I was unable to maintain equanimity around this person and it was destructive to both of us. After one session it was completely different. I no longer was charged or triggered. I have maintained neutrality around this person and been able to work closely on projects. Magic. Through this work, Leni has patiently and gently showed me how to live life to the fullest while observing lessons through awareness. I now am allowing abundance in all areas in for my human and animal family. Now, I just need to learn to slow down and enjoy! For those of you searching for a well rounded Instructor to get you on the way to using the SRT process in your life, you would be blessed to choose Leni Onkka. She has the knowledge, wisdom and understanding to strip away the mystery of the SRT process and teach you this easy to use practice which will be a blessing to you, your family and friends. I have been to many workshops and classes over the years and my experience with Leni Onkka is by far superior. She keeps the class on track with joy, humor, and a deep presence that is grounded in wisdom and compassion. Her commitment to clarity is exceptional. My life has transformed and I am forever grateful to the Universe for helping me to arrived in several of her classes. I have been working with Leni for years. Her insights, intuitive energy abilities are among the best I have ever encountered. Leni is the only certified teacher of the Matrix Process for releasing a wholistic set of unconscious programs. I heartily recommend her clearing work to anyone seeking personal transformation. Leni is able to clear anything blocking me from moving forward, all the way back through the Akashic Records. When I am stuck Leni never fails to make me feel lighter, happier, and magically, she “unsticks” me. Leni's metaphysical and spiritual knowledge, wisdom and compassion are like none other. Its value in my life is immeasurable. My mom has been doing clearing and energy work since I was a baby. I was sick and now I am off all my asthma medication. My mom is very good at spiritual work. She has helped me through everything and I have had many things lifted off of my shoulders when most kids have to deal with those situations. I love you mom! Thank you! Leni Onkka, shines bright operating with empathy, compassion, and understanding. She easily shares her knowledge and wisdom to explain things. She has an extremely high level of work that she shares with encouraging their own unique process of awakening and raising their consciousness. She is able to detach and offer her work in a neutral, positive manner. As a colleague and student, I highly recommend Leni. She has helped me step into a higher level of my own clearing/teaching. Working with Leni has literally changed my life for the better. Her way of handling any and all forms of past or present trauma bring light into the darkness of suffering and relief to the soul and heart. I had lived a life of decades of depression and despair-I was in psychotherapy for 30 years. Working with Leni has changed that into a life of joy, success and love. The work is profound beyond words yet gentle. I cannot find words to recommend her highly enough!!!!! Your life will change!